The Chinese believed the human body is just like the Universe. The Chinese believed that the Universe is formed by two elements called “Ying” and “Yang”. “Yang” represents “sun light”, “positive” or “hot”. Ying represents “dark”, “negative” or “cold”. All the Chinese food or herbal medicine was classified in one way or another as either with “Ying” characteristic or with “Yang” characteristic. The “Ginseng” was considered as one of the herbs with “neutral” characteristic. It means “do not expect ‘ginseng’ to cure most forms of diseases”. Many people have a wrong idea that ginseng heals every form of disease. Ginseng is probably the most famous Chinese herb. It has been used in Asia for more than 5,000 years. In China, ginseng has been treasured since the dawn of written history. In the Qing Dynasty of ancient China, ginseng was prized more than gold. Ginseng is available in literally thousands of tonic formulations and it is featuring the most of the traditional preventative herbal remedies. Many people seeking to improve energy and vitality use ginseng daily. 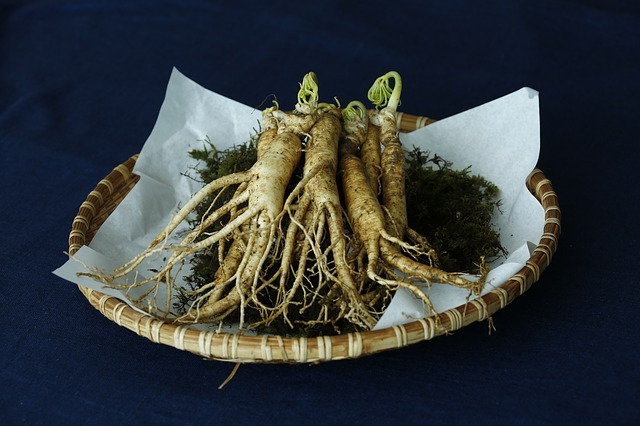 Ginseng requires about six years maturing, but it is difficult and expensive to grow. Its value is found in its stained root which contains a complex mixture of carbohydrate compounds, nitrogenous compounds, fat-soluble compounds, vitamins and minerals. The curative powers of ginseng are unique in the way they affect the whole body. Ginseng has also been recognized as a potent immune system tonic by modern researchers. A good herbal medicine doctors are those who know how much unbalances that a patient has in his/her body. How much “Ying” or “Yang” is needed to get the body balanced? In addition, how much is “too much” or “not enough” for human body to take. The combination of different “food” or “herbal medicine” to create “Ying” or “Yang” to “just right” for the human body is the basic principle behind almost all the Chinese medicine. Please do not confuse the “cold” and “hot” with the weather. Cold weather does not necessarily make your body system “cold”, in Chinese medicine point of view. The “balance” is the most important “word” of human health and spirit in the Chinese medicine point of view.